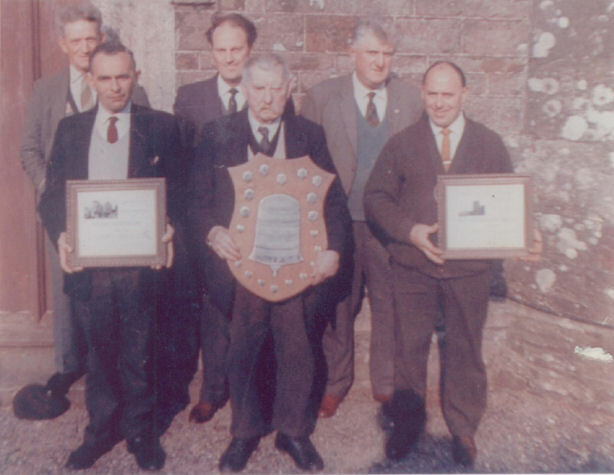 Dolton bellringers from late 1960's early 1970's. Back row - Jimmy Hutchings, Michael Mitchell, Lloyd Mitchell. Front row - John Palmer, Reub Clements, Gunner (Ivor) Durk.